Karan Singh Grover is an Indian model and actor known for his work in Indian TV series such as Dill Mill Gayye and Qubool Hai. He has also appeared in the Indian films Alone and Hate Story3. Grover was born on February 23, 1982 in New Delhi, India, to a Sikh Punjabi family.He has a younger brother.When Grover was young, his family moved to Al Khobar, Saudi Arabia.He was educated in Dammam, Saudi Arabia, and then graduated from HMI Mumbai with a degree in Hotel Management. He then worked as Marketing Manager at the Sheraton Hotel in Oman. In 2004, Grover pursued a career in modeling and participated in the Gladrags Manhunt competition and won the Most Popular Model Award.Grover began his television career with Balaji Telefilms' youth program Kitni Mast Hai Zindagi on MTV India, for which he was selected for after a national talent hunt led by the production company. In 2007, Grover starred in the show Dill Mill Gayye, a medical drama for young people.The Times of India reported that Grover became an "instant hit" and "teenage icon" because of the show, and that the show became the # 1 show of STAR One.While touring for Dill Mill Gayye, Grover also participated in a few reality shows and was also seen in several commercials. Two years later, Cinevistaas Limited reported that it had filed a complaint against Grover for regularly reporting hours of work delay, which caused them a loss.Grover left the show for a while, but returned after 6 months due to requests from fans. The show ended on October 29, 2010.After Dill Mill Gayye, Grover made two shows with Cinevistaas Limited, he starred in their TV movie Teri Meri Love Stories, and made an appearance in Dil Dosti Dance. On October 29, 2012, Grover returns to daily drama with Qubool Hai from 4 Lions Films.The show gained popularity quite soon by becoming number 2 on Indian television.The Times of India has given Grover the credit of the high rating of the series . Grover won two Best Actor awards for his portrayal of Asad Ahmed Khan in the show.In 2013, Grover was described as one of the highest paid Indian television actors. 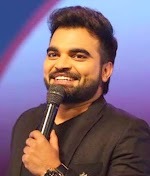 Grover's work at Qubool Hai ended at the end of 2013.The channel, Zee TV, stated that it had dismissed him because of his unprofessional behavior. He denied the allegations, saying that the channel was trying to defame him, and said he was gone because his contract had ended and because he was sick .The release of Grover caused a considerable drop in the ratings of the show. In 2015, Grover featured in the Alone and Hate Story 3 movies. Hate Story 3 has become a box office success.International Business Times reviewed Hate Story 3 and wrote, "The hearings say that Karan Singh Grover steals the show.